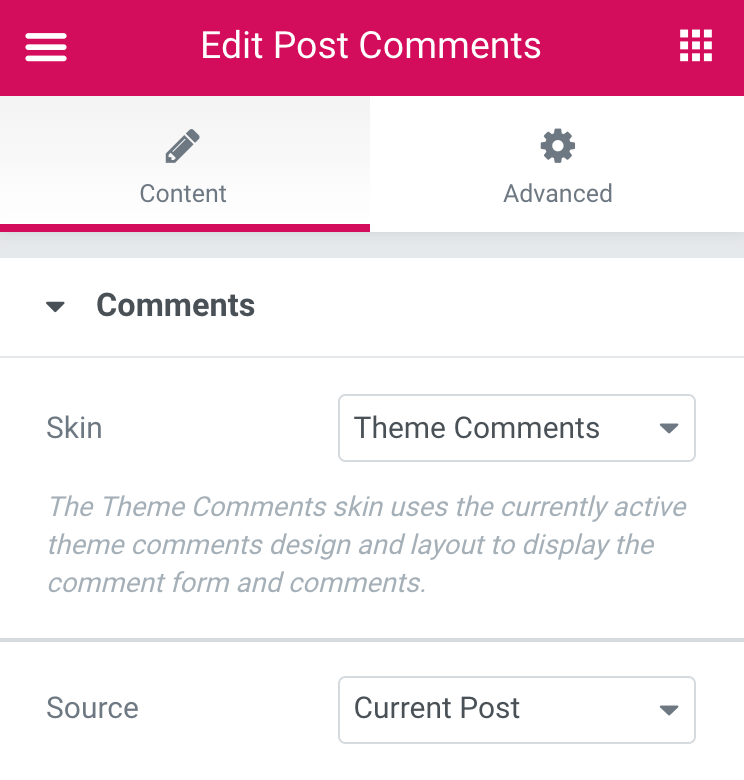 The Post Comments widget is a Theme Element. It is one of the available Single Post Template widgets that is used to dynamically display a post’s user comments. Search & Select: When you start typing a specific name of a post, you will get the autocomplete full name of the post, which you can then select. The comments from the selected post will be displayed.